Sharing knowledge is a vital component in the growth and advancement of our society in a sustainable and responsible way. Through Open Access, AIU and other leading institutions through out the world are tearing down the barriers to access and use research literature. Our organization is interested in the dissemination of advances in scientific research fundamental to the proper operation of a modern society, in terms of community awareness, empowerment, health and wellness, sustainable development, economic advancement, and optimal functioning of health, education and other vital services. AIU’s mission and vision is consistent with the vision expressed in the Budapest Open Access Initiative and Berlin Declaration on Open Access to Knowledge in the Sciences and Humanities. Do you have something you would like to share, or just a question or comment? We would be happy to hear from you, please use the Request Info link below. For more information on the AIU's Open Access Initiative, click here. commonly via collective investment schemes e.g. mutual funds) . of institutional investment as well as investment management for private investors. part investment managers and employ millions of staff and create billions in revenue. transactions and fund valuations for up to thousands of clients per institution). performance, i.e., the smaller the firm the better the chance of good performance. 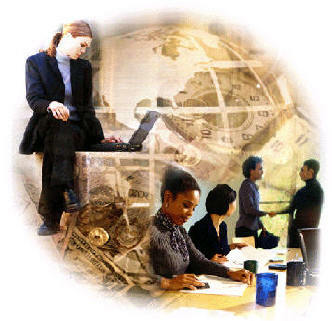 generally come from independent investment management firms. to pressure managements, and if necessary out-vote them at annual and other meetings. (the regulators and the Board) overseeing management. is for the institution to decide, the other is for the institution to poll its beneficiaries. of the vote or respect the abstainers and only vote the respondents holding. every company, reducing the incentive to influence management teams. and strong performance of equity markets. the manager is able to produce above average results. fundamental beliefs are supported by proof-statements. completely unrelated to the existing team (of fund managers). individual needs and risk profile. The advisor then recommends appropriate investments. competing funds, bond and stock indices). (more volatile) than bonds which are, more risky than cash. implement. For example, growth, value, market neutral, small capitalization, indexed, etc. in general performed against given indices and peer groups over various time periods. data and close attention would be paid to the (percentile) ranking of any fund. the average manager generates a 4% return. making the result strongly dependent on this benchmark choice. while the second component is an evaluation of the success of the manager's decisions. The Free Press, May 2000. Bonds, Bills and Inflation (relevant to long term returns to US financial assets). Copyright ® 1979 - 2006, 2008 Atlantic International University . All rights reserved.